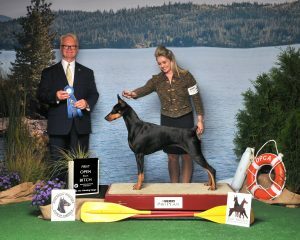 Ava completed her Championship as a puppy, including a best of winners at the GMDF Specialty and a Best Puppy In Show in New Brunswick. 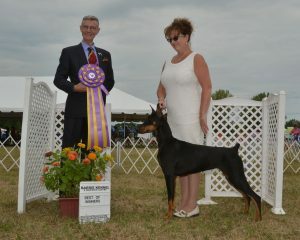 Ava has started showing in the US and in her first weekend out was 1st and 2nd in her large open black class. 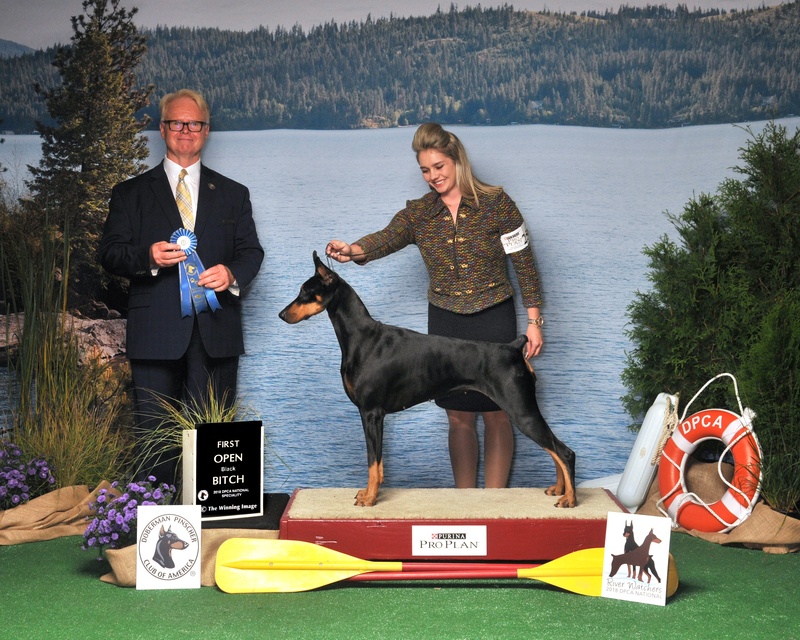 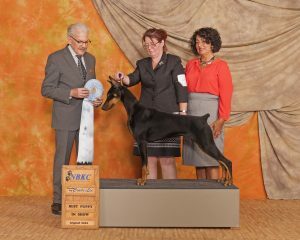 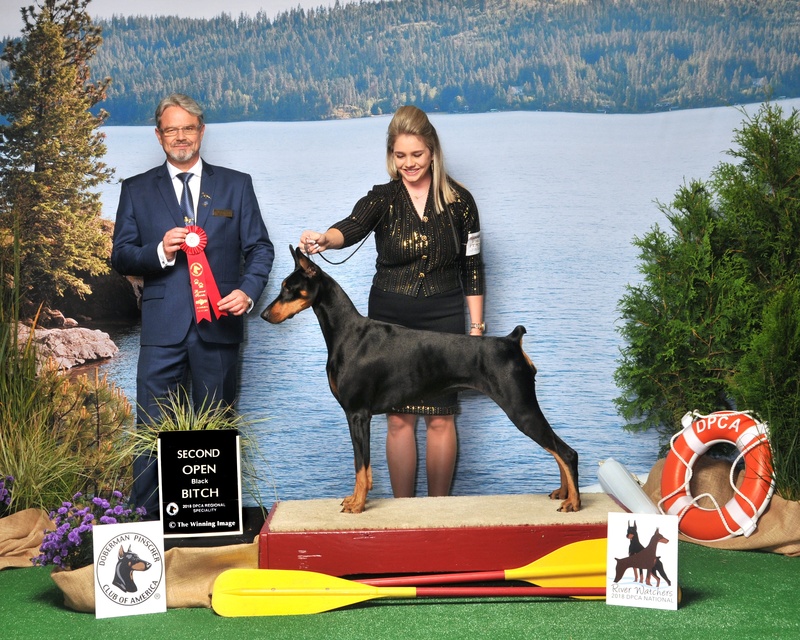 She is bred by Susan, Brian and Ashlee Claggett of Van Orman’s Dobermans in Texas. 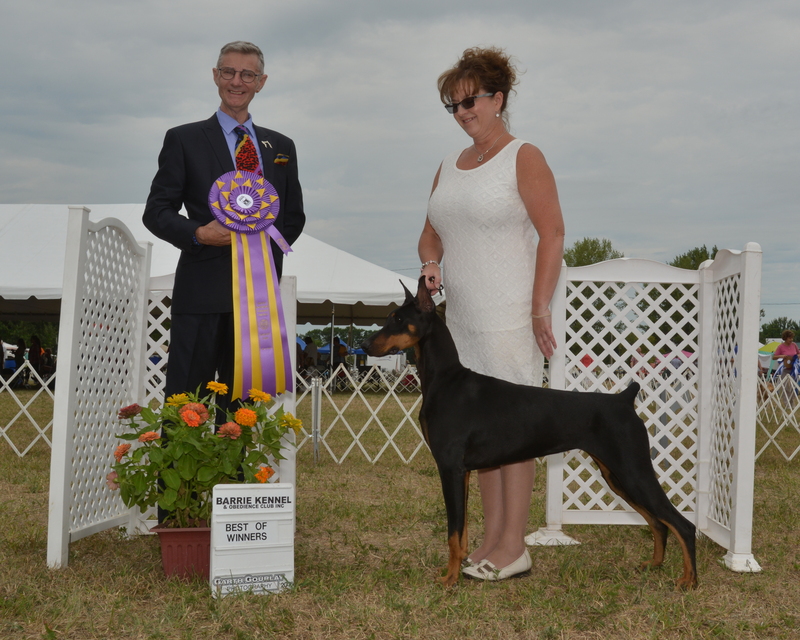 Thank you for entrusting us with Ava!